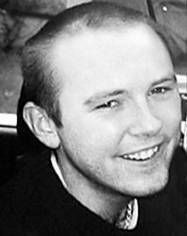 A CO Donegal fisherman died in similar circumstances to his brother nine years earlier, an inquest has heard, as a coroner called for boarding ladders to be fitted to trawlers. Killybegs man Oliver Cunningham drowned as he returned to the Patrick C vessel, docked at Castletownbere on April 25 last year. Coroner Frank O’Connell said he would welcome tighter regulations on use of boarding ladders on trawlers after it emerged other seamen died in similar circumstances at the pier. Mr Cunningham had had to jump as he tried to board the vessel on April 25th last. His body was recovered close to the slip at the pier in Castletownbere. His brother Matthew, pictured right, who was just 25 at the time, drowned off Killybegs harbour in November 2002. Mr Cunningham had been living in Co Louth in up until his death. His family at St Catherine’s Road in Killybegs were devastated by the loss of a second son. Sgt Fachtna O’Donovan said it was not the first time such an incident happened. “Especially when the stern is up against the pier, often they have to jump to get back on the boat,” he said.